New GOES-15 weather sat reaches orbit | Wott's Up With That? “New GOES-15 weather sat reaches orbit“. Anthony Watts copies-and-pastes another innocuous news release to thin out the relentless denialist bunk. 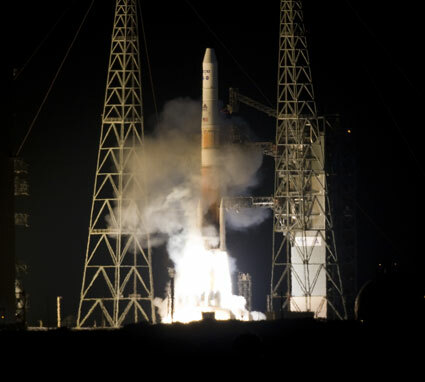 NASA and the NOAA have launched GOES-P, a spare geostationary weather satellite, using a Delta IV launch vehicle. Hooray! Click on the image to see the night launch on NASA's website. Aw gee, a success — I guess he’s thrown Monckton under the bus here. Unless it falls down again. Then it could still be a PLOT!